Your personal health is your most valuable asset. A healthy body and mind allow you to get up in the morning and complete the tasks of the day to enjoy your life. Health Insurance is your safest bet to ensure your ability to maintain a healthy body and mind and take most of the finacial burder of medical bills off your shoulders. If you are under the age of 65, there are three main options when searching for health insurance coverage. ​​Option1. An Individual Health Insurance plan- that follows the standards set by the Affordable Care Act. 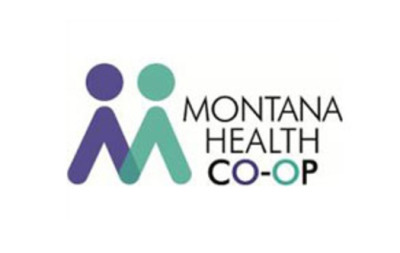 (Obama Care) In Montana there are currently 3 companies that follow these plans, Blue Cross Blue Shield, Pacific Source, and Montana Health Co-Op. In order to enroll into this type of coverage an individual must enroll during the open ernollment period which is November and December for a January 1st effective date. One may also enroll in coverage outside of open enrollment if they have an qualifying event for a special enrollment period such as losing prior health insurance coverage. Based on household income, an individual may be eligible for a tax credit to reduce the cost of insurance. ​​​​Option 2. A Short Term Health Insurance plan - my be started at any time of the year. Short term policies are typically less expensive than the traditional Obama Care plan because they typically do not cover preexisting conditions, prescriptions or pregnancies. ​Option 3. A Group Health Insurance plan (employer provided health insurance) - may be created if an individual owns a business and would like to establish insurance benefits through his or her business to offer coverage to themself, family members or employees. 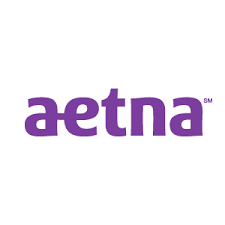 Group health insurance policies may be created at anytime throughout the year (no open enrollment to set up a group). The premiums for an individual through a group health insurance policy are typically less expensive than the traditional Obama Care plans and the cost of health insurance premiums may be used as a business expense to lower a business's taxable income. Only two employees are needed to create a group health insurance policy. Term life insurance - offers protection to you and your loved ones for a specified period of time – usually up to 30 years. If you stop paying premiums, the insurance stops. Term policies pay benefits if you die during the period covered by the policy; but they do not build cash value. 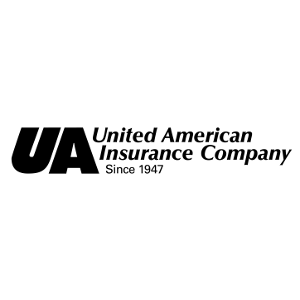 Universal and Whole life - insurance policies are intended to protect your loved ones permanently, as long as you pay your premiums and the policy is structured for this intent. These policies may accumulate cash value. Have us evaluate the financial health of your life insurance policy to ensure it will meet your goals. Whether you're looking for the affordability of term insurance, the lifelong protection and cash value potential of permanent insurance, or a combination of both, we have options to fit your needs and budget. Medicare is essentially limited health insurance provided by the federal government. Typically when an individual turns 65 they will have access to Medicare part A and B benefits. Medicare recommends applying for Medicare part A and B benefits appoximately three months before the first of the month you will turn 65. For example, if you will be turning 65 on July 17th you may want to apply for your Medicare benefits after April 1st. It is recommended to apply for Medicare three months before the month you turn 65 to allow Medicare time to process your application, create and send you your red white and blue Medicare card, and give you time to apply for a Medicare supplement before your Medicare part A and B benefits begin. Medicare Part A Premium - Most people don't pay a monthly premium for Part A (sometimes called "premium-free Part A"). Medicare Part A Benefits - Assist with paying inpatient hospital costs. In 2018, Medicare Part A has a $1,340 deductible. 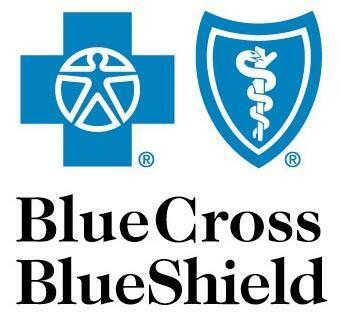 After this deductible has been met you will typically pay a coinsurance (a percent of your hospital bill) which may vary depending on how long you are in the hospital. Details below. Medicare Part B Premium - The standard Part B premium amount for 2018 is $134. Medicare Part B Benefits - Assist with paying approved doctor costs. In 2018 Medicare Part B has a $183 deductible. After your deductible is met, you typically pay 20% of the Medicare-approved amount for most doctor services. If the doctor chooses to charge more than the Medicare-approved amount the patient is typically left to pick up the differnce. For example, if Medicare stated the Medicare approved amount for a hip replacement was $30,000 but the doctor charges $60,000 the patient may be liable for the $30,000 difference in charges in addition to the deductible and coinsurance. As you can see having only Medicare Part A and B can still leave an individual with significant liability of medical bills. As a result, the Medicare supplement was created. ​A Medicare supplement policy is insurance that you purchase directly from an insurance company to help pick up where Medicare Part A & B leave off. There are many different companies that offer Medicare supplements and many different plan options. A few options have been listed below. ​Plan F - No deductible. As long as Medicare approves the service being done the plan picks up 100% of the remainder of the bill after Medicare Part A and B pays, even if the doctor charges more than the Medicare allowed amount. Example: If Medicare approves a hip replacement surgery and the doctor bills $60,000 but Medicare Part A and B only pay $20,000, the Plan F supplement policy will pick up the remaining $40,000 charge leaving the individual with no financial liablility. Plan G - $183 Annual Deductible. As long as Medicare approves the service being done the plan picks up 100% of the remainder of the bill after Medicare Part A and B pays, even if the doctor charges more than the Medicare allowed amount. Example : If Medicare approves a hip replacement surgery and the doctor bills $60,000 but Medicare Part A and B only pay $20,000, the Plan G supplement policy will pick up the remaining $40,000 charge after the individual meets their $183 annual deductible. High Deductible Plan F - $2,200 deductible. As long as Medicare approves the service being done the plan picks up 100% of the remainder of the bill after Medicare Part A and B pays, even if the doctor charges more than the Medicare allowed amount. Example : If Medicare approves a hip replacement surgery and the doctor bills $60,000 but Medicare Part A and B only pay $20,000, the High Deductible Plan F supplement policy will pick up the remaining $40,000 charge after the individual meets their $2,200 annual deductible.